"We had a great quarter with 27% year-over-year revenue growth, " said Patrick Pichette, CFO of Google, speaking about the company's first quarter 2011 results last week. Did he foresee that following its earnings call, Google (Nasdaq:GOOG) would drop 47 points or 8.26% from closing the day before? As a Fortune blog points out, "That's 15B in market cap, and its biggest one day loss since the 2008 Bear market." (To see historical prices, click here). A billion in the bank is worth two in the bush The 'great quarter' as Pichette put it, was also marked by a 54% spike in company spending. It seems that Google is turning a new page, and is aggressively gunning for growth, and is not afraid to spend a few billion dollars here and there to generate newer revenue streams. Thrust areas would obviously include the whole social media/social networking space, as also mobile (Android and Chrome OS), among other areas that would encompass diverse drivers from clean energy to driver-less cars, besides more mundane things like cloud apps and search. Did Page guess, and guess rightly? It is difficult to say. Page may have pre-empted Wall Street's knee jerk. The new Google CEO, as well as the outgoing CEO Eric Schmidt, along with several other key Google execs offloaded a portion of their stocks this year. CEOs and key executives of companies often do offload some of their stocks and options from time to time, so it may not be entirely right to say Page was preparing for a slump in the company stock. Having said that, as we reported earlier, the Google top brass collectively sold off $1B in the first two weeks of January this year itself, and the selling spree seems to continue. Does Page care? Probably not. He has a personal fortune in the region of $17.5B; and a few million here and there is mere change. Google revenues increased 27% over first quarter 2010 - Google reported revenues of $8.58 billion in the first quarter of 2011 (as compared to $6.77 billion in the same period, last year). Google-owned sites generated revenues of $5.88 billion, or 69% of total revenues ( a 32% increase over first quarter 2010 revenues). 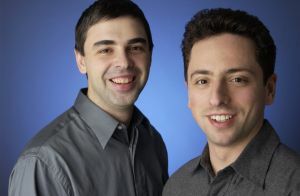 Google's partner sites generated revenues, through AdSense programs, of $2.43 billion, or 28% of total revenues, in the first quarter of 2011. This represents a 19% increase from first quarter 2010 network revenues of $2.04 billion. Google's international revenues remained stagnant - Revenues from outside of the United States totaled $4.57 billion, representing 53% of total revenues in the first quarter of 2011, compared to 52% in the fourth quarter of 2010 and 53% in the first quarter of 2010. Google is gosh darn cash-rich and without any major long-term debts - As of March 31, 2011, the company sat on a pool of cash, cash equivalents, and marketable securities worth $36.7 billion. The company says it expects to continue making 'significant capital expenditures.' â€“ The company acquired some 48 companies last year. You can take a look at the list of companies on Wikipedia. Google has also been hiring. On a worldwide basis, Google employed 26,316 full-time employees as of March 31, 2011, up from 24,400 full-time employees as of December 31, 2010. The company also recently increased base pay for its employers by 10% . Page was not particularly eloquent on the investor call and did not take questions, disappointing analysts and fans alike. But then, right from its IPO days in 2004, Google has not been one to play by the Street rule book. If you want to take a look at the complete text of Google's submission with the SEC, you can find it here. The first quarter 2011 earnings conference call is also available (ironically) in Windows Media Player; the company just announced that it is pulling the plug from its dying Google Video offering, and all uploaded files will be deleted after May 13th. This is yet another social media experiment gone sour for the search giant (following on the wakes of Google Wave and a dying Buzz, among others) - but then, the company does own YouTube, which remains the largest video-sharing destination on the Web.